there’s a carnival at cyberjaya fellas ! 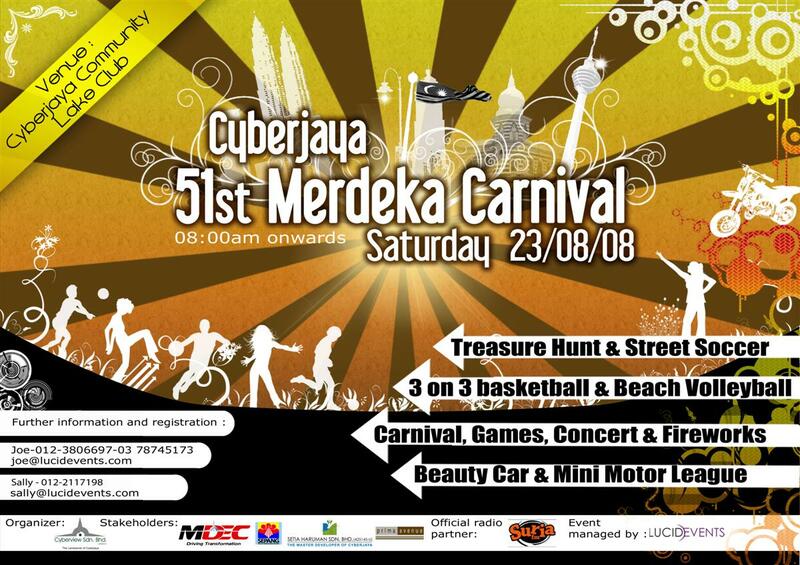 Please find the flyers for our merdeka carnival attached. One of the components of the carnival that we wish to highlight is the treasure hunt. We do hope you can distribute the information to other treasure hunters. You can contact me (Lyn) at 019-2730963 or Joe 012-3806697 for further details. you can directly contact the organiser to participate or get the form ya ! hunt dah cancel, click here to see the news at michael pang’s blog !